After 6.5 enjoyable years with the Geodynamics group at the Geological Survey of Norway (Trondheim) I have moved southward (again!) to work with Trond on his new ERC project: “Beyond Plate Tectonics”. My main interests in this project are global plate tectonic circuits and lithosphere-mantle connections through time. Carmen Gaina is a Geoscientist whose research goal is to study the evolution of the global oceanic regions as a key component of our dynamic planet by using a variety of geological and geophysical constraints. She is actively involved in the development of oceanic palaeo-age grids, a new and powerful tool aimed to tackle a range of global problems-from variations in carbon dioxide concentrations to eustatic sea-level. For the last couple of years Carmen studied the complex evolution of the margins and oceanic basins in the North Atlantic, Arctic, Indian Ocean, Circum-Antarctic and South East Asia regions. 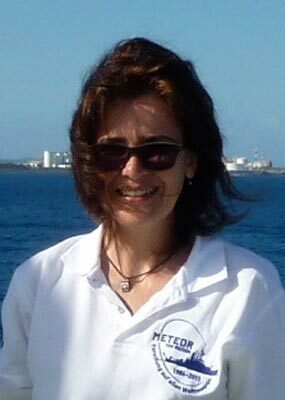 Furthermore, she is involved in large geophysical dataset compilations and interpretations within several international projects (Northeast Atlantic Tectonics and Circum Arctic Mapping Programme).